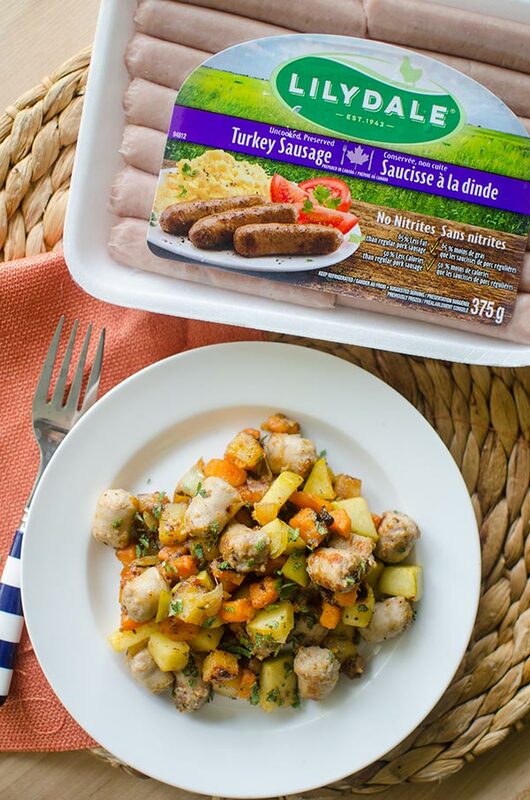 A simple, fall-inspired breakfast celebrates the flavours of the season with Lilydale Turkey Breakfast Sausages, apples, maple, sage and sweet potatoes. This post is sponsored by Lilydale®. I love to celebrate, the capital B-big things and of course little things as well. 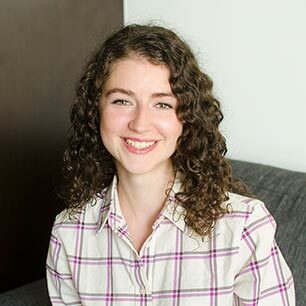 The big things like birthdays and new apartments, the small(er) things like making it through an exhausting week or fixing a broken freezer drawer. It’s all relative. A big thing worth celebrating? It’s Lilydale® 75th anniversary! They’ve been providing Canadians with high quality (and delicious) Canadian poultry products for 75 years…now that’s a milestone. 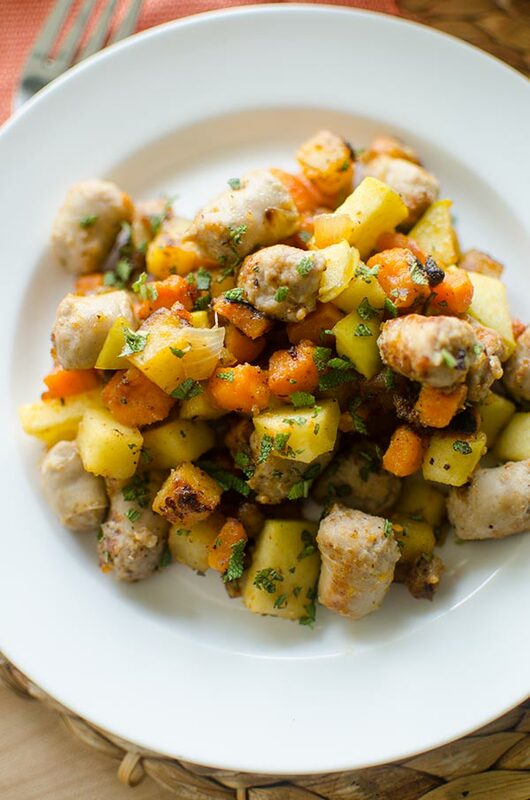 I’ve been using their whole turkey and turkey breakfast sausages in my kitchen forever, so I’m thrilled to partner with them to celebrate this momentous occasion and share a delicious recipe with you. This is the perfect fall breakfast (I think this would actually be amazing on Thanksgiving as well). This turkey breakfast hash is one of those dishes that celebrates fall. It checks all the boxes using fresh apples, and sweet potatoes, plus it gets a hit of Thanksgiving flavour from fresh sage and sweetness from maple syrup. They key to making this hash comes from cooking it in steps. First you brown the turkey sausage, then you cook the regular potatoes before adding the sweet potatoes (they take different lengths of time to cook) and onion, and the apple gets added right at the end so it still retains a little bit of crunch. The dish is finished off with a sprinkling of fresh sage, maple syrup. I found adding a touch of apple cider vinegar ties everything together. I find with simple recipes that utilize high quality ingredients, these finishing touches (usually some sweetness and acidity) really take a dish into droolworthy territory. Heat a large skillet over medium-high heat. 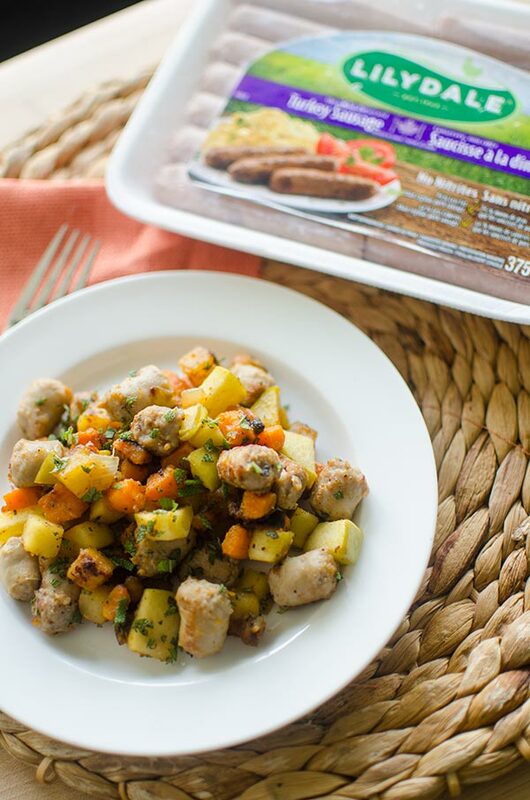 Add 1 tbsp olive oil, cook chopped Lilydale® Turkey Breakfast Sausages for 5-8 minutes or until browned and fully cooked. Remove from pan and set aside. Reduce heat to medium and add remaining olive oil to pan. Add yellow potato and cook for 5 minutes, stirring occasionally. Add sweet potatoes and continue cooking for another 10-12 minutes, stirring frequently. Add onion and cook another 5-7 minutes, continuing to stir frequently. Add apple and salt and cook another 6 minutes until slightly softened and browned. Return sausage and any juices to pan, remove from heat and stir in maple syrup, sage and apple cider vinegar. Let me know if you give this maple sage turkey breakfast hash a try in the comments below. Thanks Fiona, I'm glad you enjoy them!